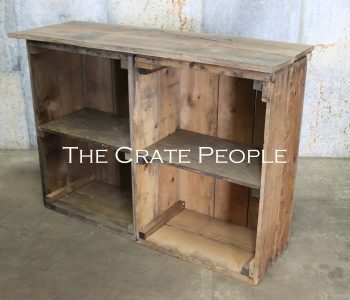 These raisin sweat boxes are from the 1940’s, fused together to create one unique serving bar. 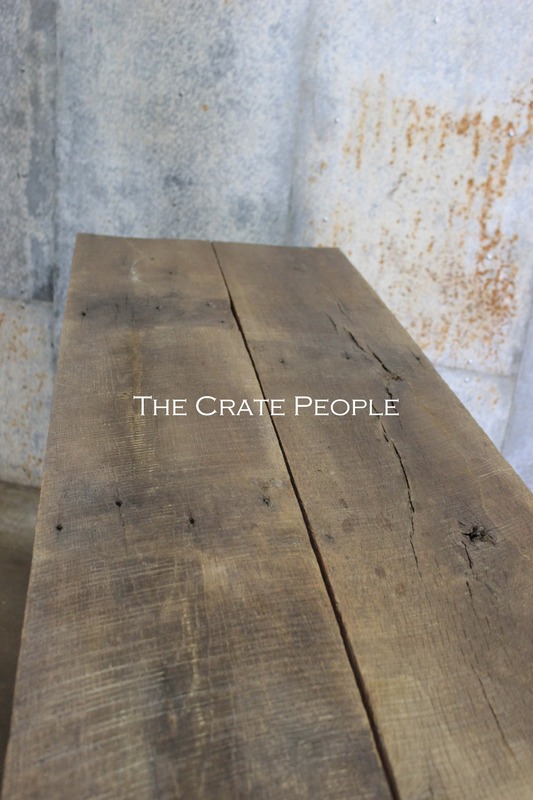 The character and patina are unrivaled with rich brown hues. 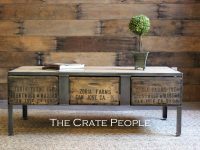 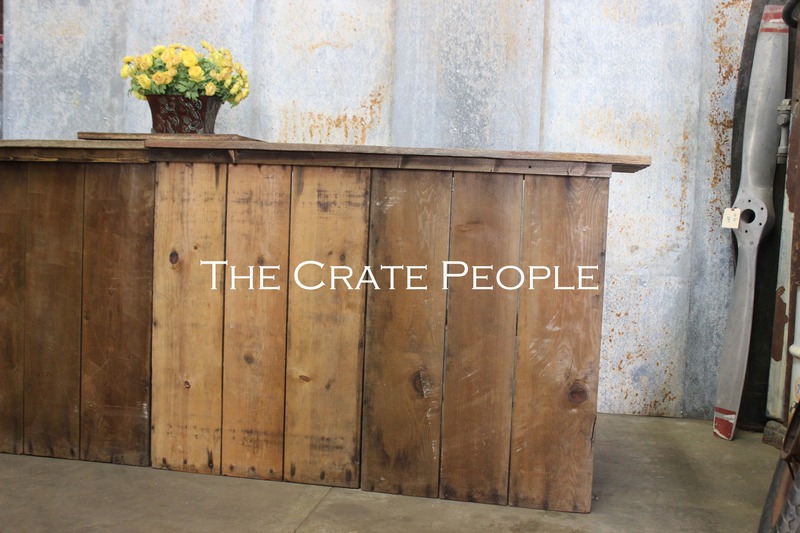 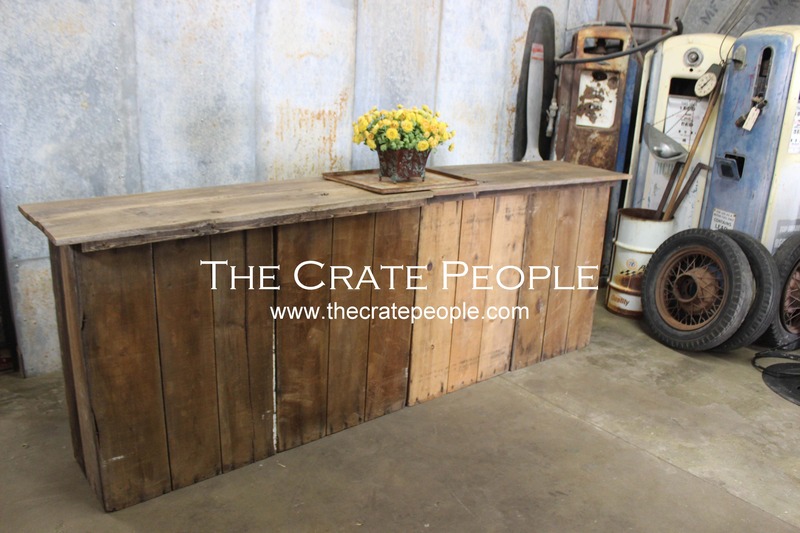 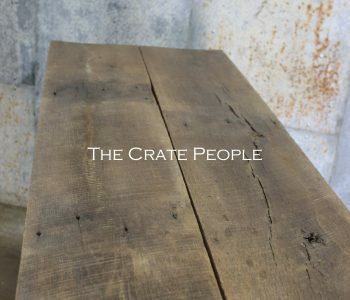 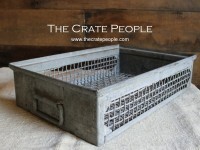 The top has weathered oak barn wood that will take heavy usage from any bartender or situation. 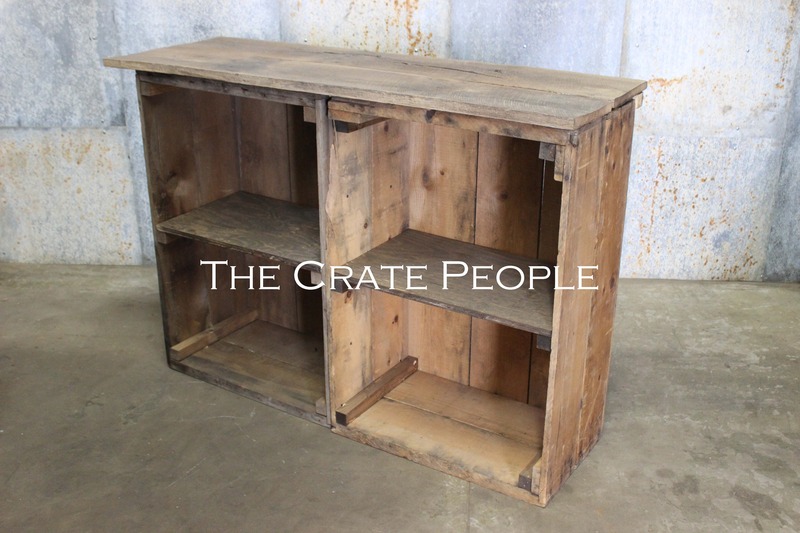 The inside has shelf storage for all your liquor bottles and accessories. 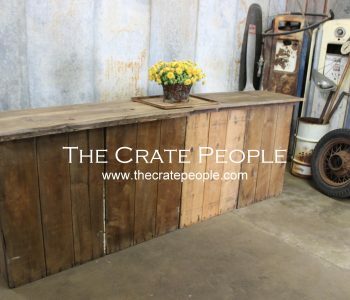 This is promised to be a very unique statement piece at any event. 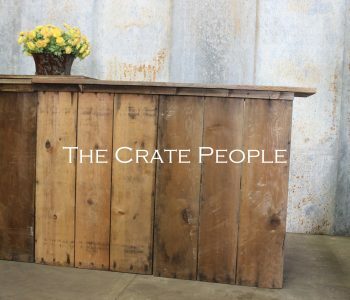 You will receive actual item in the photos!